Let us get the introductions out of our way, shall we? I am Nirant, a final year Information Systems student from the desert college of BITS Pilani. I love Gulab Jamun, programming, data, new ventures and all related blabber. I was interning with the Data Science team of a small startup Belong.co. This is that story, in a Q&A. Wrong question. The correct question is Why Belong? The answer is simple. We spend more waking time with our workplace teammates than with our spouses. We spend our youth, energy, love, sweat and blood building products with these people. Yet, we dont feel like webelong with them. We intend to change this. As soon as possible. Because I grew up looking up to the co founders. Vijay Sharma & Rishabh Kaul were people we would admire in silence. Stalk them on Linkedin with fake profiles, follow on Twitter and Yourstory. They are the Irrfan Khan and Nawazuddin Siddique of entrepreneurship. They took their own time. And I love the idea of Belong. It is B2B business today and my mother does not get it. It is okay, it is my job to explain it till she gets it. She explained a lot of word problems to me till I got them. Torture. Sometimes play with it. I dream about it. It is Data. Dirty, mad, steel cold data. It is not big, it is small actually and I often fiddle too much and break something on playground server. I work with the team called Discovery. We do what we claim to do that is help you discover right talent at the right time. I work more on the right time part of it. I spent most of my time planning what to do and cleaning the data. I have some great mentors from both within the company and outside who are great help in this. I split most of my screen time between a terminal and beautiful Jupyter notebook. Jupyter Notebooks allow us to interact with Python. It is my civilization of choice to torture data. The main combat units in this civilization are Pandas, Scikit Learn, and matplotlib. They are all from the Anaconda Python stack. I sometimes prototype my models in R. It saves a lot of programming time. Though re-implementing everything in Python is not my favorite thing to do. Much less than what I wanted to. I have contributed to the design and deployment of a feature revamp which is important to us. It is a data driven product feature. It took me time to understand the context. Later, the architecture and what data models might work for this. I can write a pamphlet, wait, maybe a novella about this. But let me use a pun to describe this: I feel I belong with the team. Most of the things I have bragged about above? Courtesy of ideas and wisdom from some of the best mentors I have. I have brilliant, helpful mentors from both within and outside the company. My teammate, Sneha is the most kind, talented, smart programmer I’ve met. Did I mention she is a communist chauvinist Bong? She is fun to work with. 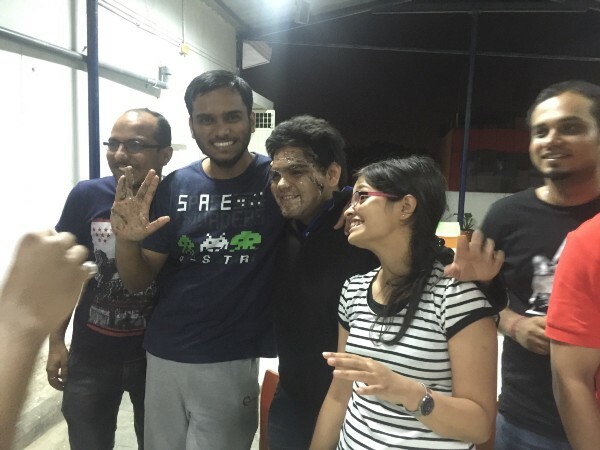 Rohan Rao, Data Scientist and in-house mentor makes the most hilarious jokes at the most opportune moments. I think he should do standup comedy as a hobby. Unfortunately, he is India’s top Sudoku and Puzzle player. He represents India in World Championships et al. Nayan is the IIT KGP Informatics whiz from Bosch. He is the silent killer looking for the right time to throw the final punch. Vinay Pande is an experienced data scientist from Housing. I would write about Vikash, but that would mean this article becomes longer than you’d need. He has been like an elder brother to me. In summary, none of what I did here is my work. It is the lowest common denominator of the gyaan that I get. I just test and experiment with the best of the ideas. Pick the one which works. Repeat. Everyone has access to all the code, all the required data, all the resources, all the help, all the company metrics. All the time. 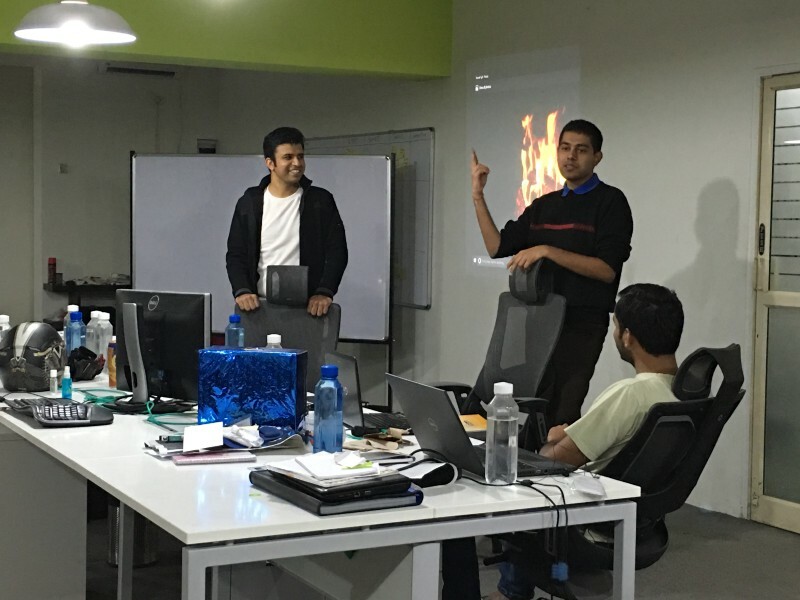 Vijay (CEO, Belong) and Shashank ND (CEO, Practo) in a Fireside Chat with the Team. I am not saying we are perfect. But we are functional. 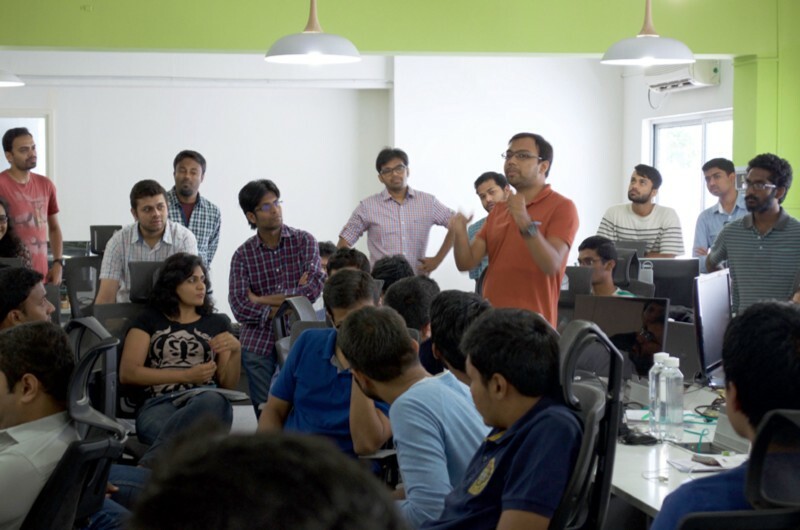 There is great sync between all teams of the company even as we grew from 42 to ~80 Belongers. I am surprised sometimes by how easy the information flow is between tech and non-tech roles. The product development is much better because they make sure that customer feedback reaches us in an instant. Not 1 month later, not next week. Same day. Several supportive, helpful, and meritorious people have some how assembled into Belong. I do not know how the founders did this, but they did. I have made some stupid but grave mistakes. Let us just say that I was lucky that I live to rectify those mistakes. I had timely constructive criticism and the time to improve on the same. arshan Patel (Belonger from Data Engineering) in a Town Hall. Most of the above is possible because the founders and leadership understand the importance of culture fit. We have never made a compromise on that. That spirit has percolated well and building a great team is an end itself, not the means to an end (aka profits). Enough of Belong worship, see you later. This post was first published on Medium by Nirant Kasliwal. Next articleBuilding a startup doesn't make you 'special' | Here are 5 reasons why.